The RIM group takes an interdisciplinary approach to decision systems. 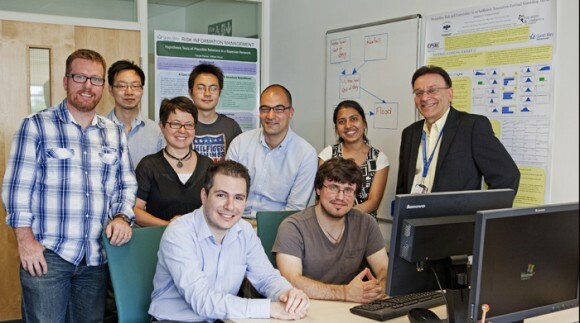 The group’s research focuses on problems of decision-support under uncertainty using methods from computer science, statistics, machine learning and psychology, to solve problems and challenges presented by scale, complexity and variability. The research of the group is world-leading in its unique combination of data centric methods with hypothesis-driven approaches in which the power of advanced computing is combined with the insights of human expert judgements. RIM group members work with practitioners to produce intelligent ‘unified models’ that use both data and expertise as inputs. These models are used to support inference and decision making in a wide range of application domains, including medical, legal, systems engineering, bioinformatics, security, risk and safety. The group was established in 2010 from the merger of the RADAR (Risk Assessment and Decision Analysis Research) and IR (Information Retrieval) groups. Over the years the group has attracted research funding worth over £4 million from organisations such as the EU, EPSRC, Royal Society, Yahoo, Library and Information Commission and the British Council. The group has a long-term association with Agena Ltd, and its work with Agena was chosen as a case study for the 2014 REF submission.